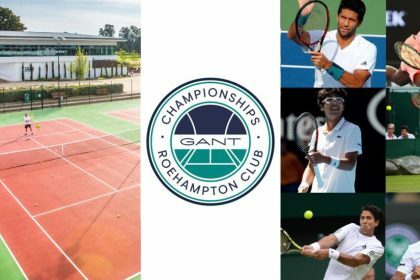 The GANT Championships at London’s Roehampton Club is a new, intimate pre-Wimbledon international tennis event. Built on the great history of the popular Roehampton Cup, that attracted the world’s best players to the historic Roehampton Club for many years. GANT, the original American lifestyle brand, are reviving the event this June, with 3 matches taking place each day.